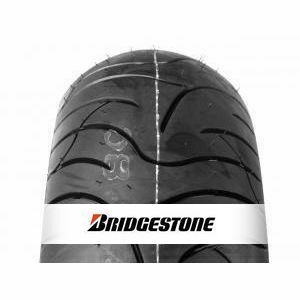 The Bridgestone Battlax BT-020 120/70 B17 58V (Front) passed every tests with flying colours. It has won the praise of the German press. The 3D-CTM used for tyre manufacturing is the best you can find in computer assisted tech; It allows to improve the aerodynamic performance of the vehicle.Outstanding resistance strenghtens vehicle stabilty at high speeds. Great steering precision and optimal performance on wet. To review the Bridgestone Battlax BT-020, you first have to log-in by clicking here.